Emails – Read it later button/notification? How do you guys manage your emails? Do you ever get a situation where you read something on your mobile device but can’t reply to it straight away and so need to check it again later? 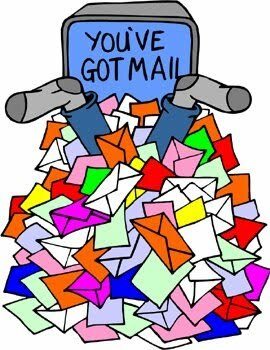 But then you never get around to checking that later as it gets lost in the pile of new mails? Stars. Mail bookmarks. See something important, click it with a star and you can click all those stars later. But what if you’ve starred many things and miss something out still? Or not get around to checking starred items? Priority inbox – supposedly a smart inbox that knows what’s important for you. I’ve not had much success with this as it thinks spam is important. Filters – set up filters for defined contacts/words. Though still needs manual checking. In the essence of minimizing stuff to do and letting the software do it all, what about a “read it later” button. That’s not a new concept. But instead of just marking items as just another set of bookmarks you’ll be notified of these emails which will be kept unread until you reply or set it to off. I get an email about a device handset review. I can’t reply right now but this is something I have to get back to. Mark it as read it later. One way of notification is that it’ll pop up at the top of your recent mails as unread and it will keep doing so until you reply to that person or switch it off. Regardless of how many new emails, it will keep popping up again until you’ve addressed it. It might seem annoying/a little pushy but it will certainly prevent you from missing mails you meant to get back to. This is different in that you don’t have to manually check any folders or stars or separate accounts (where you might have important email). Is there something that does this already? I’m sure there must be – just that I haven’t found it yet. I’m not sure how this would work with your desktop client and mobile devices.